The Target Saver: Pampers Rewards: 15 FREE Pampers Gifts to Grow Points! 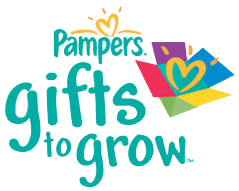 Pampers Rewards: 15 FREE Pampers Gifts to Grow Points! Sign up or log in here and grab 15 FREE points, enter the code CMAWWECOPEEQI14. Don’t wait, this free offer will not last long. If you haven’t joined Pampers Rewards yet, just go HERE to join and you will get 100 points just for signing up. Signing up allows you to participate in the Pampers Rewards Program which offers points for purchasing Pampers products and allows you to trade points in for free gifts!